Pioneers of power metal, energetic heavy metal, saints of positive vibes and pumpkin heads. They are all that and more and these are some of the descriptions of German heavy metal band, HELLOWEEN, who really don’t need to be introduced. Thanks to my friends in Nuclear Blast, especially Markus Wosgien, I, Mohsen Fayazi, had a chance to have an interview with HELLOWEEN’s Bass Invader, Markus Grosskopf a few days ago. 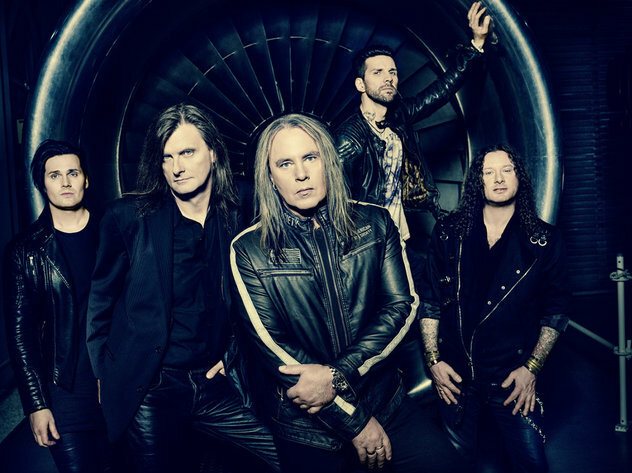 Recently, I discovered that the HELLOWEEN members are working on a book, which they will call ‘Hellbook‘, I did lots of searches but unfortunately wasn’t able to find more information. I was very curious about this, so my first question was about this book, which Markus called a ‘surprise’, and I should say that I already surprised him by knowing this information, as he asked “how do you know it?” (laughing). HELLOWEEN fans are unique, just like their favourite band. Being truly die-hard fans is one of their qualities as well as being positive of course. If you are one of them, I am sure you are dying know about the band’s upcoming plans and that’s what I asked Markus. He told me that they will continue playing shows and festivals and partying with their fans, but the most interesting part of his words was when he said: “Let’s hope that there is another decade to play and record for us!” So if you are a pumpkin-head too, you can or cannot calm down and listen to your favourite album, “My God-Given Right“. I, Mohsen Fayazi, Chief Editor of The Magic Of Metal, Metal Shock Finland, wish all the best and metal to the Helloween members and all of their mighty fans, from Indonesia to Brazil and from Iran to USA… Keep on rockin’ and Stay Crazy! 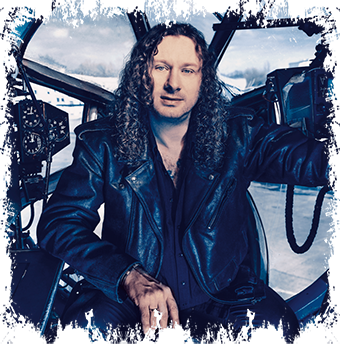 Uwe Lulis, A metaller with about 36 years of a career as a musician, was born in 1965, in the age where Metal Music was ready to rise. He was well known as one of the main members of GRAVE DIGGER and was a part of the band for about thirteen years, then formed REBELLION along with Tomi Göttlich. But now he is well known because he is the guitarist in ACCEPT, alongside such legends as Wolf Hoffmann and Peter Baltes. In April 2015, Teutonic heavy metallers ACCEPT announced guitarist Uwe Lulis and drummer Christopher Williams as their new members. It was big news indeed, especially for their fans. I, Mohsen Fayazi, had the chance to be the first journalist to have an exclusive interview with Uwe Lulis since he joined the band. I knew that ACCEPT fans were curious to know more about him and probably had lots of questions in their minds, so I prepared and tried to ask some of the main and important questions, ones I thought are more important to the fans. After releasing their successful debut EP, “A Hymn Of The Vicious Monster”, Iranian death metal act AZOOMA have recently entered the Studio to start recording their first full length studio album which will be released this year via Xtreem Music. The recording will take place in Mashhad at ‘Azooma Studio’ under the supervision of the band’s drummer Saeed Shariat. Happy Metal Birthday To Metal Shock Finland Chief Editor Mohsen Fayyazi! The last year on Metal Shock Finland has flown by faster than ever! As always there have been so many fantastic achievements by our creative Chief Editor Mohsen Fayyazi, who always works his hardest to create and present our vision in his unique way. Here are the Metal Shock Finland staff team messages in celebration of Mohsen‘s birthday! Mohsen’s passion for the music and the artists is an inspiration to us all! I send along big Happy Birthday wishes! A true brother of mystery, a friend for life. May the music speak distant memories of love, of a timeless journey. Be well my friend. Your passion and your dedication are some of the most important ingredients in our team. Happy birthday-Tanti auguri, Mohsen….have a special one! Happy b-day to the best editor a reviewer could ask for! WARNING: You Will Be Lost If You Forget Your Roots! Heavy Metal is more than a genre of music now, it is a huge industry that includes many names, stars, super stars, heroes and legends. It seems that recently in this crazy industry, everybody is just taking care of and looking out for themselves, a cycle of torment, always wanting to be on top, which seems endless. I do understand it very well, everybody has their own dreams and they want to make them true, but we should not forget those who taught us, prepared us and showed us the way. But of course, there are still many people who care and do not forget. I believe you who read this article, are among them, if not, you wouldn’t bother to read this. Metal Shock Finland ‘s Tribute Week To Ritchie Blackmore had a few goals; first of all, we wanted to send a message to Ritchie that we never forgot him, he and his music is in our hearts for eternity. Then we wanted to remind those who may have forgotten Ritchie Blackmore and his magical music. Also, we wished to introduce him to the newcomers and young people who haven’t yet had the chance to know him. In the end, we wanted to learn more about Mr. Blackmore from others and share our knowledge with our readers. I just hope we were successful in achieving some of those goals at least. His riffs are like strong rocks on a mighty mountain, his solos are floating through the whole of music history and will be eternally! Ritchie Blackmore is one of those in the very beginning of Heavy Metal music as Martin Popoff said, he changed the way music sounded and his DNA is everywhere as Paul Bibeau said. Gus G and Niklas Stalvind reminded us that Ritchie is one of the originators of hard rock and heavy guitar. Some of our guests had the chance to meet him on stage and off it, they shared their memories and told us how great a guitarist Ritchie is. Graham Oliver and Nigel Glockler even told us that Ritchie is a huge football fan and they found him a nice guy. So yes I have learned many precious things but in the end, all of our guests agreed with me that metal music could be different today, if Ritchie Blackmore hadn’t picked up an electric guitar. I know he is one of those free and unique rainbows who does not follow the rules, as he has his own ideas about life and music. I, Mohsen Fayyazi, should confess that I enjoyed every second of this tribute week. It was very busy, messy and noisy but in this final moment of the celebration I started to feel upset. It was just like being with him, or even living his life and experiencing what he saw and did again, like walking in a black masquerade of metal music history. However, something is certain, his riffs are like strong rocks on a mighty and magnificent mountain and his solos are floating through the whole of history and will be eternally! 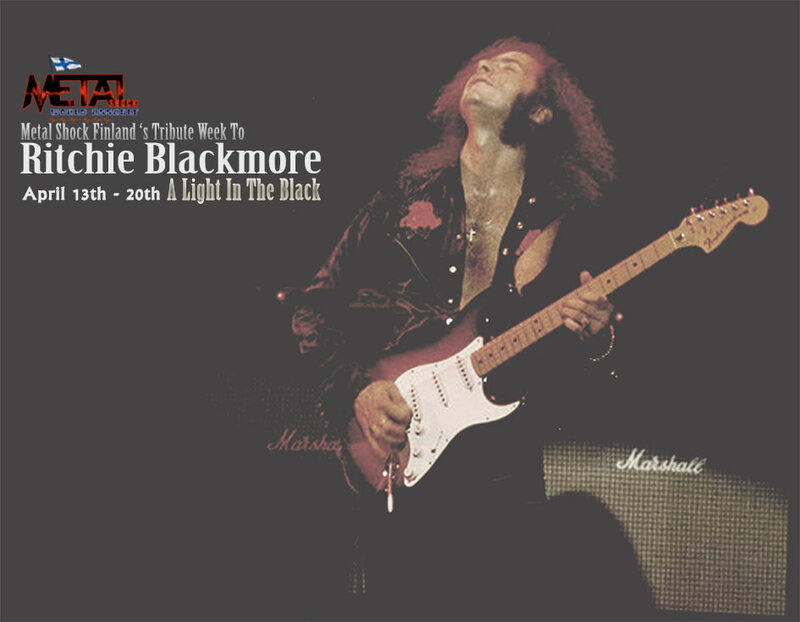 Long Live Ritchie Blackmore, A Light In The Black! As you perhaps know, we at Metal Shock Finland are presenting a week’s Tribute To Ritchie Blackmore and today is the final day. The goals of this celebration are; first to send a message to Mr Blackmore that we remember him, love him and we appreciate what he has done to improve Rock and even Metal music. As part of this celebration, we have invited well known names in the world of rock and metal to share their thoughts about Ritchie. Musicians, guitarists, photographers and managers shared their thoughts with us and you and I am sure we all found them interesting. But the project couldn’t be complete without the opinions and comments of a journalist and writer who sees the industry from above. I, Mohsen Fayyazi, was lucky to have a chat with Martin Popoff, who wrote many books about rock and music and its bands and artists and has been called “heavy metal’s most widely recognized journalist” by his publisher. He is also the senior editor and co-founder of Brave Words & Bloody Knuckles.